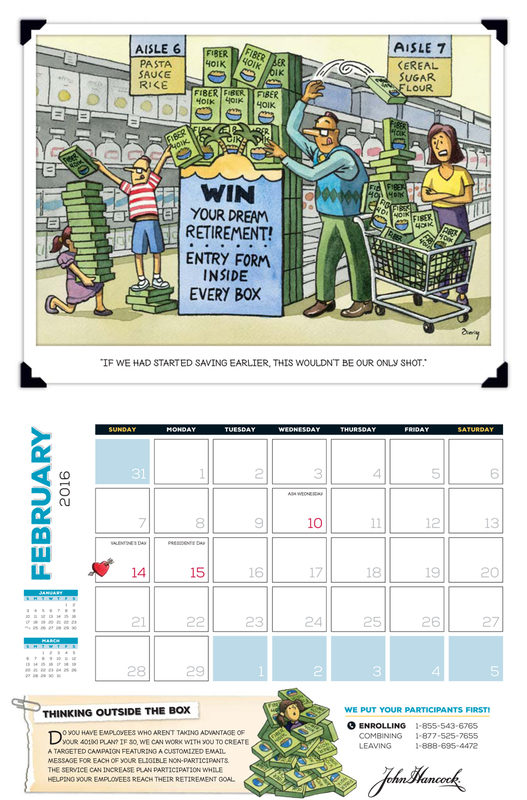 As far as calendars go, most are cut from the same cloth–a pretty picture each month, color gradients over the dates, and a philosophical statement or two. If not that, then twelve months of overt product placement. 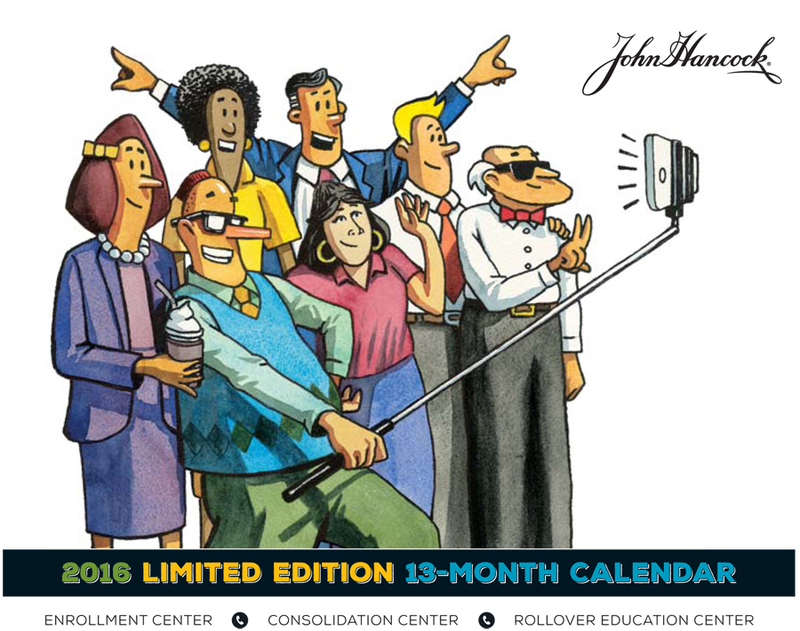 John Hancock provides clients with financial solutions for every stage of life, including retirement plans. 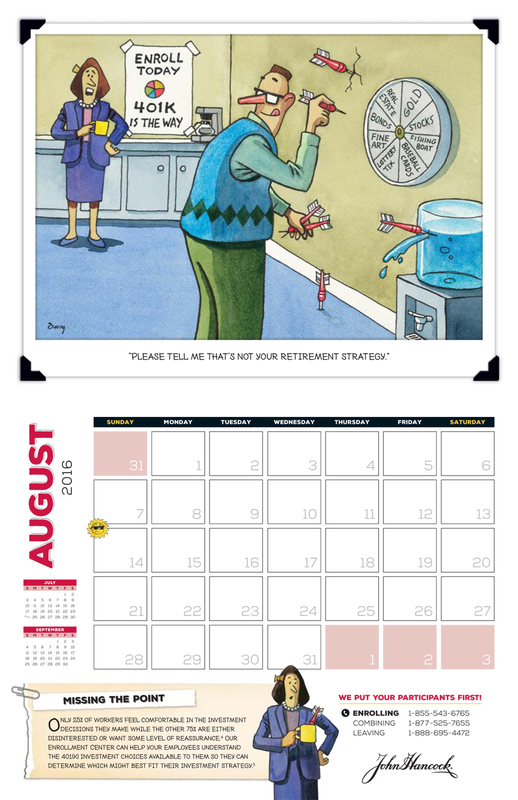 Its calendar creation delivers a serious tongue-in-cheek message on retirement. 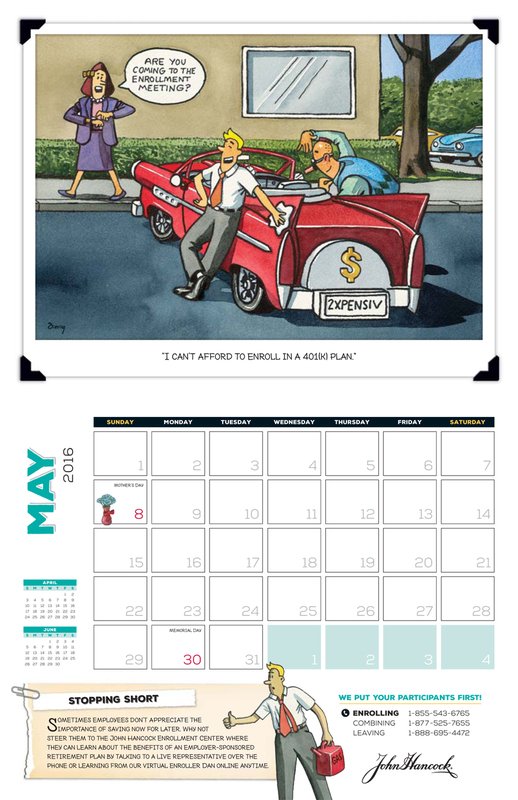 Using both satire and humor in original cartoons, the company captures attention while making a point. Think Gary Larson’s “Far Side” newspaper strip.